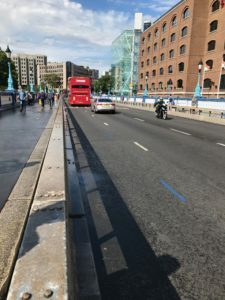 In an innovative but clever move both the men’s and women’s marathon will be held on a relatively fast four lap course along the Thames on Sunday. The race starts and finishes on the famous Tower Bridge which still lifts and drops to let taller vessels up past the Westminster Parliament, which is just beyond the start and finish line. Traditionally these events have been held on consecutive Sundays which resulted in two consecutive road closures and double commitment of local supporters. A championship marathon is typically limited to around 100 competitors and as such watching the event over a single lap route can be easily compared to the proverbial art of watching paint dry. Spectators become adept in the skill of falling asleep between passing athletes! A four-lap course certainly relieved that scenario and the hosting and timing of both events around three hours apart e sure a continuity of action that can attract and sustain an audience particularly given the work that has gone into providing fan parks and spots along the incredibly scenic 10km laps. With a championship record of 2:06:54, set in Berlin in 2009, and the predicted 18-19 degree conditions, the men’s race (12 noon RSA time) will not be slow up front. 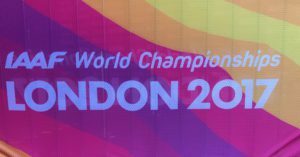 There are eight men who have personal bests faster than the record, but as medals are more important than times, the record may well endure another two years. In reality, the South African men’s trio have a better chance of achieving something special as a team than as individuals, although there is the possibility that Lusapho April could make it into the top ten, as there are only 12 of the 100 runners who have personal bests faster than the Eastern Cape man’s 2:08:32. In terms of team trios it is no surprise that Ethiopia are the favourites with Tesgaye Mekonnen, Tamarit Tola, and Yemane Tsegay whose combined PB times total 6:13:31. As expected the Kenyan squad are next closest, with Japan, Eritrea, and Spain the others ranked as strong contenders. 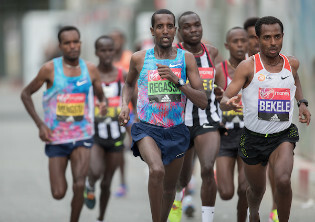 Running as a team, a practice used by most contending countries, often delivers better individual results due to the way the very small championship fields quickly gets strung out. April could perhaps feel restrained by holding back early on, and will probably go upfront, however it has been seen over and again that runners who come through in the final third can often be placed higher than the form book. Certainly, there is a strong argument to be made for Sibusiso Nzima and Desmond Mokgubo to stick together at least until 35km, then see what damage they can do over the final 7km. Run strategically there is the potential of finishing amongst the top 5 teams, and good runs by the RSA trio could even see them repeat the bronze medal of Paris 2003, which ironically was the last time that we saw our countrymen truly run as a team in this longest of championship events. Based on the same rationale it is an even greater disappointment that the South African combination of Jenna Challenor and Mapaseka Makhanya does not have a third athlete to train and run as a team. As a duo their main goal will surely be to improve current times and ideally go sub 2:30, which would provide a great base for contention in the Commonwealth Games in April next year. It will take only 63 seconds of progression for Makhanya, but could be a stretch to far for Challenor, who has a 2:37:12 best from Nagoya last year. That said, the KZN runner’s focus has tended to be on the shorter events where she has steadily improved, and this bodes well for the race, which unusually has an afternoon start. 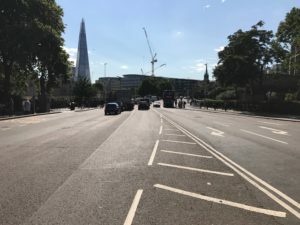 A special spectator ‘Fan Park’ has been set up in the Moat of the iconic Tower of London- Its going to create an oasis of support for the runners who will pass this each time they start a lap.